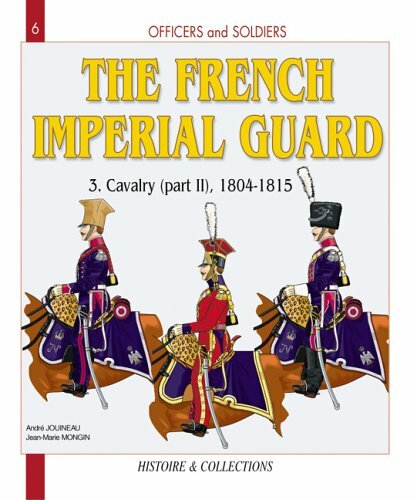 [PDF] French Imperial Guard, Vol. 3: Cavalry, 1804-1815 (Officers and Soldiers) | Free eBooks Download - EBOOKEE! Description: The third volume in this successful series detailing the elite phalanx of Emperor Napoleon, puts an end to the study of the Guard cavalry. The troops depicted in Vol. 3 are the Mamelucks in their oriental dress, the famous Polish lancers, the red lancers (Dutch) and the guards of honor. No comments for "[PDF] French Imperial Guard, Vol. 3: Cavalry, 1804-1815 (Officers and Soldiers)".